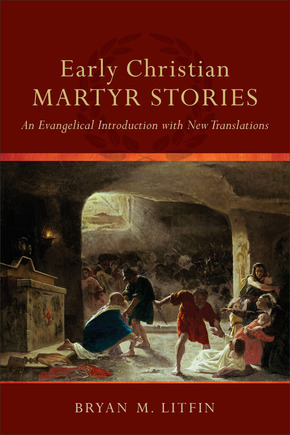 As part of my Lenten reading, I have been working through Bryan Litfn’s Early Christian Martyr Stories. The book is, as its title suggestions, a collection of early Christian martyr storie, culled together by Litfin and translated with his scholarly notes. 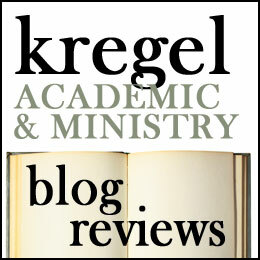 Litfin is professor of theology at Moody Bible Institute whose previous works include Getting to Know the Church Fathers, After Acts: the Lives and Legends of the Apostles, articles on Tertullian and (curiously) a series of medieval era Christian fiction. Here he turns his gaze toward the life and witness of martyrs, offering a fresh translation of ancient texts. While this is a work of scholarship, his footnotes and introductions explain elements of ancient culture which make this book accessible for the general reader. Litfin begins by examining the pre-Christian Maccabean Martyrs and the literature on the martyrdom of Peter and Paul. While there are elements in each account that seems more legend than historic, LItfin points to the influence of these on later martyrs. 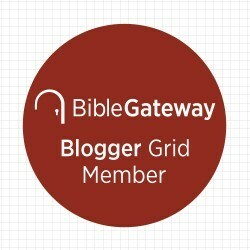 The more historic accounts include the writings of condemned bishop Ignatius of Antioch, Polycarp, Justin “Not-Just-A-Clever-Name” Martyr, the martyrs of Lyons and Vienne, the Scillitan martyrs, Perpetua and Felicity, and the martyrs of the Great Persecution. Additionally Litfin examines the writings on martyrdom by Tertullian and Origen, the historical account of the Peace of Constantine and the Edict of Milan that put an end to Christian persecution. The book closes with a sermon from Augustine (one hundred years after the Edict of Milan) honoring the memory of the Martyrs (especially Perpetua and Felicity). Litfin wrote this book both as a work of historical study and as an attempt to inspire Christians toward greater faithfulness (2). In an epilogue on the ‘meaning of the martyrs’ he praises the martyrs for refusing to make Jesus into just another God (to be worshiped alongside the Roman pantheon of gods), for their witness in counting the cost and giving up everything, and their confidence in their eternal hope in Christ. Further, he argues that the martyrs call us to the unity of the ancient-small-c-catholic faith (173-5). I appreciate how accessible this book is to the general reader. Litfin is not writing an account of martyrdom, he is sharing their stories in their own words (in translation for our context). While the global church still faces the threat of martyrdom in our age, these ancient accounts offer a compelling critique on modern, western Christianity. These were men and women who counted the cost and willingly faced torture and death for their belief in Jesus. To read is to be challenged and inspired. I give this book four stars. Notice of material connection: I received this book from Baker Academic in exchange for my honest review.